The T-MM Series, manufactured by Zaber Technologies® is an optical component positioner controlled via computer with a double-axis mirror along with a resolution of 1.5 µrad. It can stand alone because it only needs a power supply of 15 V. Furthermore, it has a built in axis controller for an easy controlling of the axis alone. 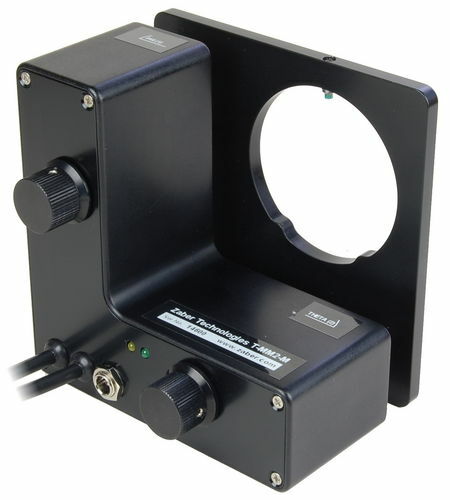 In addition, it has a mounted +/-5 deg range double kinematic axis along with a 0.0005 deg repeatability and can hold a 2" optics.